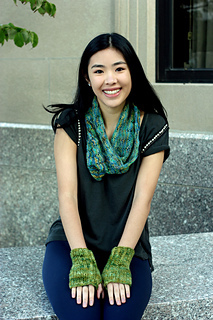 Quick and easy but stylish and warm, these wristers are knit flat and seamed, leaving an opening for the thumb. 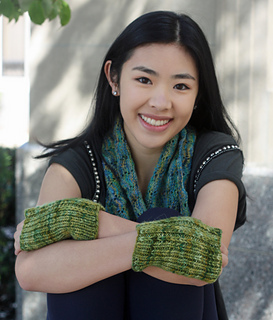 Ribbed/slip stitch pattern has flexible fit, and wristers can be made longer if desired. Note: Connie is wearing the Fairview Cowl, also available from Black Bunny Fibers.